Single and double parameter control instuments. A simple, well executed solution for regulating water treatment applications with single or dual parameters. Designed with understanding and experience. 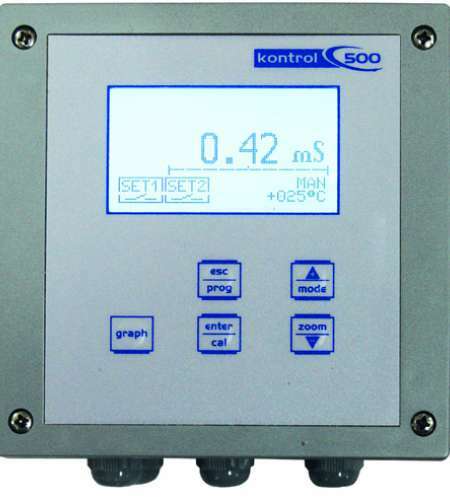 Kontrol 500 are professional controllers designed for advanced water treatment applications. All models are equipped with analogue and digital outputs that can be set by the end user via software with full programming authority for the user. 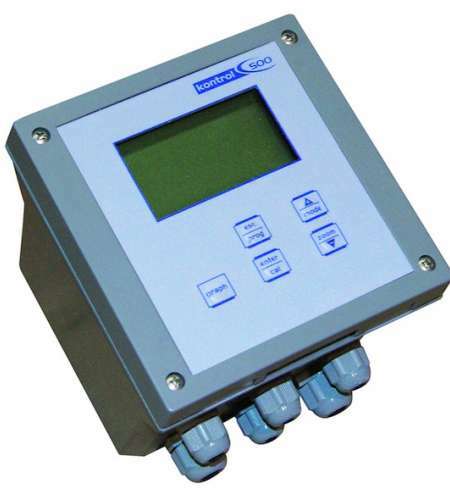 Kontrol 500 is suitable for the following applications: Drinking Water applications - Irrigation systems - Fish farming - Cooling Towers - Swimming Pools - Flocculent dosing systems - Waste Water - Pure Water - Plating - Reverse Osmosis. The controllers are equipped with proportional and independent control outputs with PID enabled, an RS485 serial port with ModBUS protocol, a USB port on demand, a quality control of the probe, diverted outputs and a comprehensive data collection capability. A Data logger function is included to monetize the measure and give a graphic line feedback.the data logging functions allow users and management to accurately track the performance of their systems in use.